It's great to hear Spiderman is better than ever. I'll be heading down tomorrow morning to check it out in person. ...Even before the new enhancements, Spiderman was easily my favorite dark ride in either park. I just got a Survey from Universal Orlando that was asking about an additional Universal Express product that would "allow visitors to view attraction wait times and make ride reservations all from a hand held device". Sounds like they are thinking of adding a Q-bot style system in the future. This would be a downgrade from the current Universal Express, so I hope they won't raise the price on the "classic" version too much. Erik Johnson wrote: All I can say is wow! I was very impressed with all of the new enhancements that Spidey received. Also a side note, did anyone else notice that Cat In The Hat is back at the normal insane spinning mode again? We were actually talking about this at Orlando United. Some cars spin a lot, some don't spin that much. I was on Cat in the Hat one week ago on Saturday 3/3 and the cars barely spun at all. That would be pretty retarded if some cars spun a lot and some cars didn't at random with no indication...perhaps they are testing? I hope they restore the spinning to all cars soon. The ride is a complete bore without it. 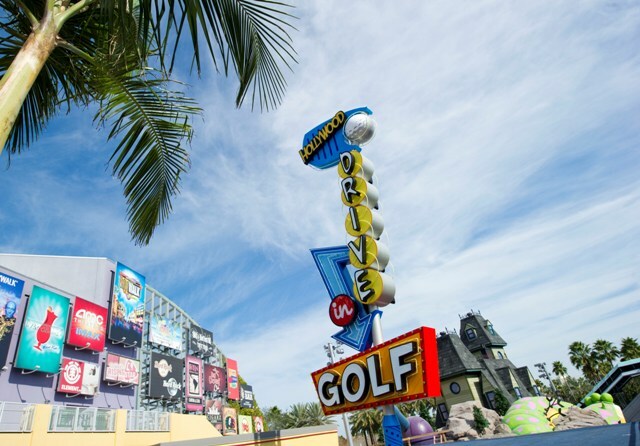 Universal Orlando has sent us a press release regarding the opening of the Hollywood Drive-In Golf at Universal CityWalk. 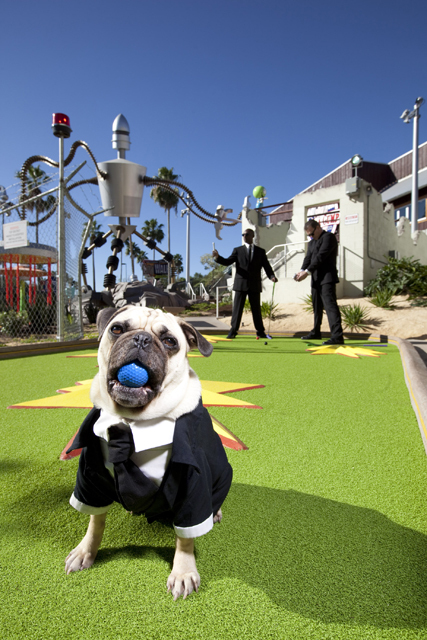 Today, Universal Orlando Resort officially opened central Florida’s newest and most outrageously-themed miniature golf experience– Hollywood Drive-In Golf at Universal CityWalk. 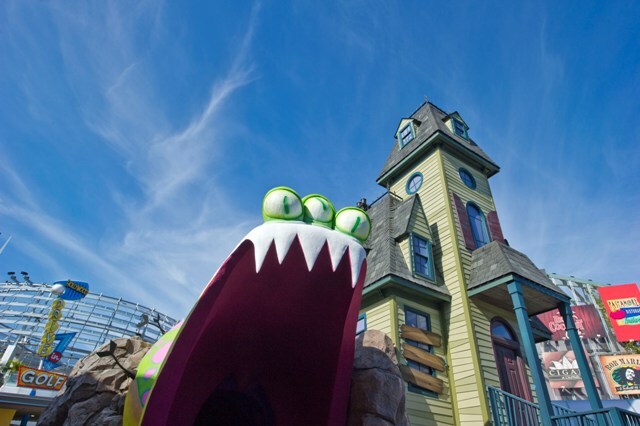 Featuring two 18-hole courses based on classic drive-in era horror and sci-fi movies, this all-new venue is the only place where the entire family can enjoy teeing off through the open mouth of a giant space worm or the basement laboratory of a towering haunted house. 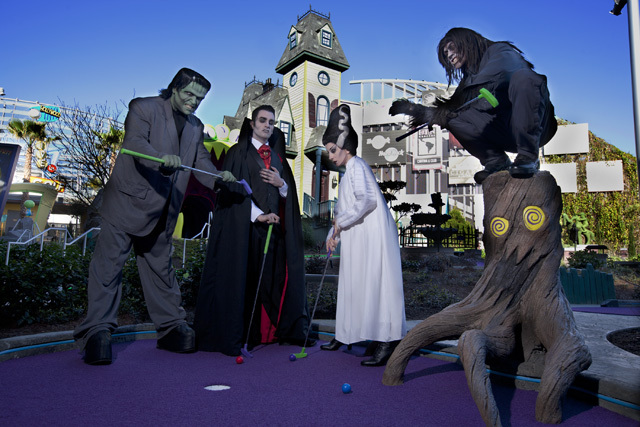 To celebrate the grand opening, some of Universal Orlando’s iconic characters “hit the links.” Universal’s classic monsters – including Dracula, Wolfman, Frankenstein’s Monster and the Bride of Frankenstein – putted their way through a creepy cemetery on “The Haunting of Ghostly Greens” course. 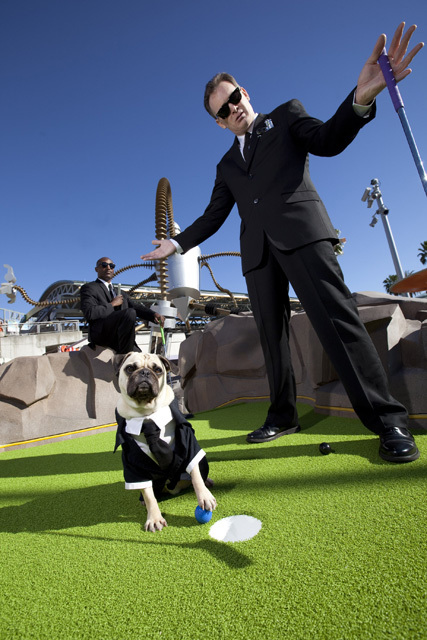 On the opposite side, Men In Black agents and Frank the Pug played “Invaders from Planet Putt” – a course themed after the “little green men” science fiction films of the 1950s. Designed by Universal’s Creative team in partnership with Adventure Golf Design and Development, Hollywood Drive-In Golf is now open to the public daily from 8 a.m. to 2 a.m. Admission rates to play one course are $13.99 plus tax for adults and $11.99 plus tax for children (ages 3 to 9). For more information on Hollywood Drive-In Golf, visit http://www.CityWalkOrlando.com. Spidey looks freakin' awesome, as does the mini-golf, as does New Fantasyland. I envy you Orlando-ites. There's always so much changing there, so all of our trips are pure madness, running around trying to catch all the new stuff in the few days we have. But we did finally invest in one of those non-expiring 10 day WDW park-hopper tickets. Checked out Spiderman this morning and I do think the updates turned out great. The 3D is very crisp and clear and the new soundtrack sounds great. And a side note....I hate Potterland. That part of the park just gives me an anxiety attack now. paiging_jen wrote: And a side note....I hate Potterland. That part of the park just gives me an anxiety attack now. It's probably the creepy robes and capes they CMs have to wear. Between the CMs and GP it's hard to keep it straight! There's just way too many people in that area and I have absolutely no idea what's going on. I just hate it. But the butter beer is good. ^And where else can you buy a stick for 100 bucks? cfc wrote: ^And where else can you buy a stick for 100 bucks? Don't even get me started on the line for that place. It blows my mind. And I asked Steve today, I wonder how much they actually make on selling Butter Beer each day. Everyone is walking around or leaving that area with a cup. But like I said, I know nothing about the whole thing so I can't really say. I just can't imagine standing in a line like that for the chance to purchase a twig or even standing in a long line to purchase Butter Beer. But that's just me. More power to everyone else willing to do it. More time for me to ride Dueling Drag....I mean Dragon Challenge.